Have you ever been coached and wondered what was going on in terms of process? 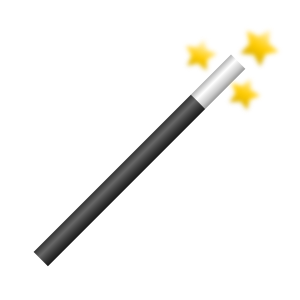 Who has been the best coach you have experienced and how did they do it ? What’s the difference between coaching and mentoring and why use coaching and or mentoring ? I’ve been reflecting about coaching practice and wondered about the answers to these and other questions. Keen to hear all your views but in the meantime here’s where I am up to. I completed a Chartered Management Institute diploma on coaching, action learning and mentoring to evaluate just what I was doing in my business practice. I subsequently described myself as a coach. It wasn’t just the accreditation that prompted this, but the work involved in the award that enabled me to articulate what it is I do when I am facilitating action learning, coaching and mentoring. There is a plethora of types of coaching underpinned from behavioural, psychological, humanist and transpersonal approaches. My view is that successful coaching needs to be addressed at the level of complexity of human beings. I like the description of 3D coaching (Machon 2010) that describes coaching flexibility from rational analysis to intuitive creativity. So for example CBT or advice giving may be appropriate for simpler issues, but systems or whole person thinking may be needed for more complex agendas. There are many coaching models (eg GROW) which give a step-by-step structure to the coaching process, but my experience in acquiring coaching mastery is that the best coaching is based on a focus on outcomes rather than structure. The coaching process, I find can be quite iterative, so holding tight to a step by step model can sometimes hinder the creativity needed to solve issues. In simple terms I have an eclectic approach and use whatever works. My practice is customer focussed in an organic way and I am also constantly learning and evolving, but it is more than simply adding to the toolkit! Coaching and mentoring –what do these terms mean ? So keeping it simple and not getting too hung up on semantics, like Humpty Dumpty, is my view. How I discriminate is that advice plays a stronger part in mentoring where the more experienced person can relate situations from their own career. In coaching, guidance in the form of questioning and sounding board usually plays a key role. Typically, mentors also have some experience of the mentees context, where in coaching this is not necessarily so. So being pragmatic we’ll name it whatever the client feels comfortable with. Others views: The European Mentoring and Coaching Council (EMCC) considers coaching and mentoring a broad church. In fact their code of ethics covers both and uses the typography coach/mentor throughout. My view is this is no bad thing and from my analysis, think for management coaching and mentoring this organisation represents the complexities of these similarities and differences well. There is an argument (from Gallwey 2001) that if you solely focus on performance goals you will achieve less performance wise than if you set learning goals. 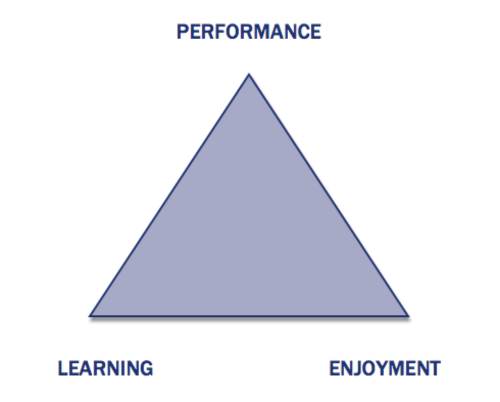 Gallwey talks about the interdependence of performance, learning and enjoyment as three sides of a triangle, where performance is dependent on learning and enjoyment. He views learning as “a real component of work and not a chance byproduct.” A coach can be instrumental in helping to identify learning goals. Simple issues can benefit from a bit of advice or looking and just copying what others do ie don’t go inventing new wheels (which, by the way, I think is an underused idea in real practice). Complex issues demand a two pronged approach. Can I adapt others’ solutions to suit mine? Knowing the difference between simple and complex issues is where a coach can help to find an appropriate method for problem solving, which in the long run can save lots of time. emc is an expert in this approach so look out for future information on this . What did you think? Please get in touch in whatever way you wish, as we’re always interested to hear your views. What did you agree with and what alternative views did you have?